Sadly this is not one of the better games to be sent to us from THQ. 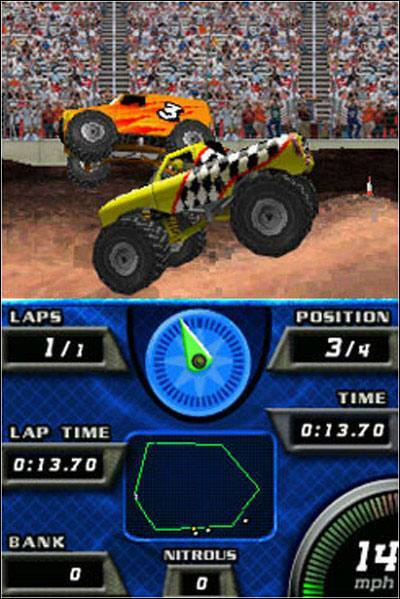 I like monster trucks as much as the next redneck and this game just didn’t cut it for me at all. Despite nice graphics, the unreliable physics and one of the most unfriendly HUDs that I have come across in some time, make this game something that I did not enjoy. Your first hint at disaster comes with the menu options, it all looks good at first and you think you are doing the right thing but the game gives you no hint as to whether or not your choices have been saved or even at what point to truly start the game. It’s just rushed and lazy in appearance. Markers on the map are not sufficient to truly show you where you are headed, it’s just a bit of a balls up. You can upgrade your truck during the game as well with money earned by winning events. The upgrade feature is nice but limited and the tweakings don’t make a great deal of difference to the way that the game plays out. The title also supports multiplay. The mountain terrain that you make your way around is nicely realised and is actually a game that at first glance you think it’s not so bad after all. The vehicles are not too bad looking either. Your casual gamer who is picking this up for a quick whip round will also possibly not get too upset about it all. It’s for the people who actually buy this intent on enjoying every facet of it that are going to be seething. 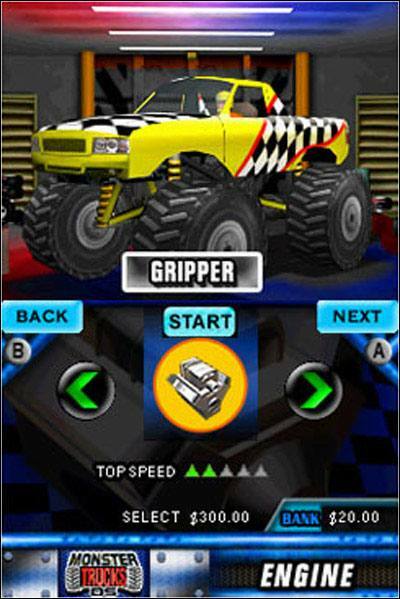 Whilst there are a number of tracks in the game and multiplayer modes, the title is unfortunately marred by the fact that it was released simultaneously by another release that uses the same game engine with another type of offroad vehicle. I am sure that monster truck aficionados will possibly get something out of this title but for the most part it left me cold. 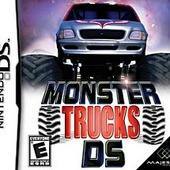 Sadly I cannot recommend this title unless you are desperate for monster truck action on your DS.